Took my family to the mall based Chong Qing recently. 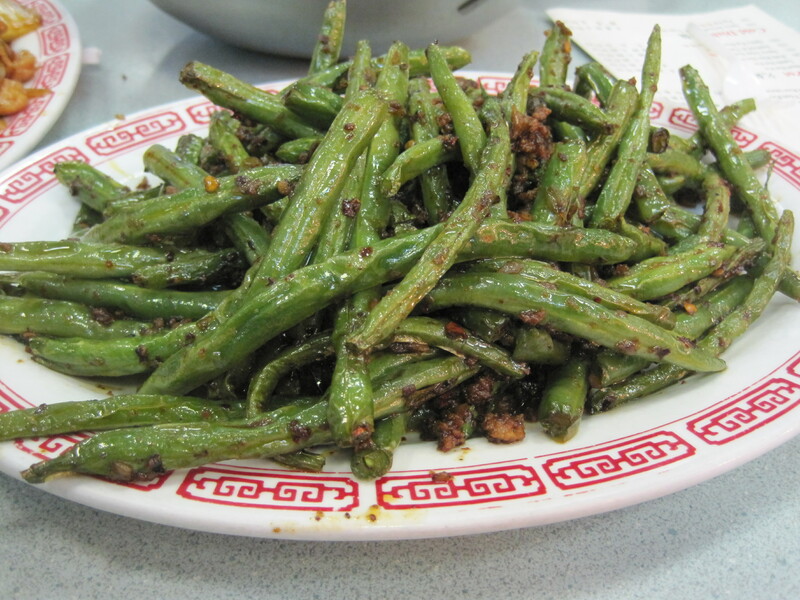 I’m just posting some food photos to enjoy. 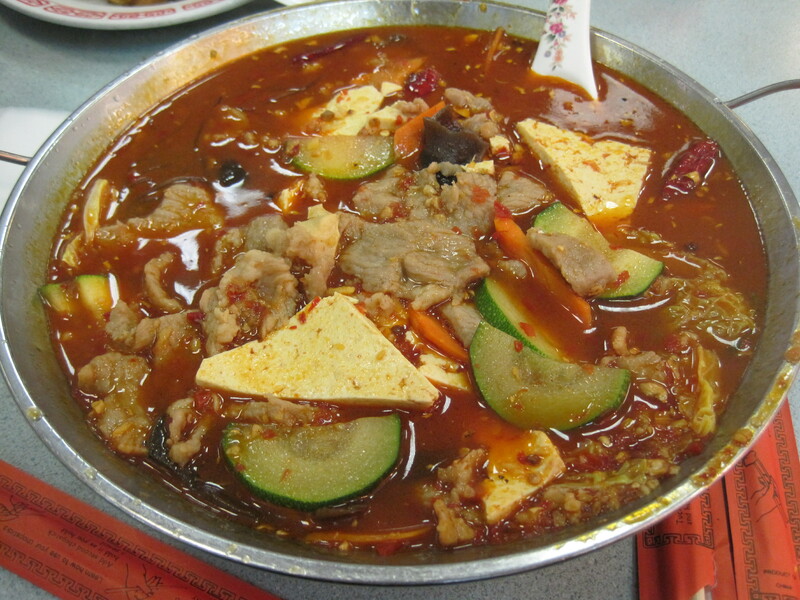 To summarize, a lamb hot pot, chicken with vegetables, spicy hot pot and a green bean dish whose name escapes me. Good though. Some WOW in the pots and the greens, to note. Two words: grilled meats. That’s what Fuego Mundo does, and does it well. It’s a pretty restaurant, perhaps a little confusing if you have never been there. I stood for a while, and I eventually asked if I were going to be seated. Turns out the drill is: order first, then sit. They’ll hand you a card you use to ID that you’re waiting for your order. They have interesting meat choices: things like skirt steak (churassco), lamb chops, and various tapas choices abound. A few of the choices drift to a bit too much sugar for my comfort. 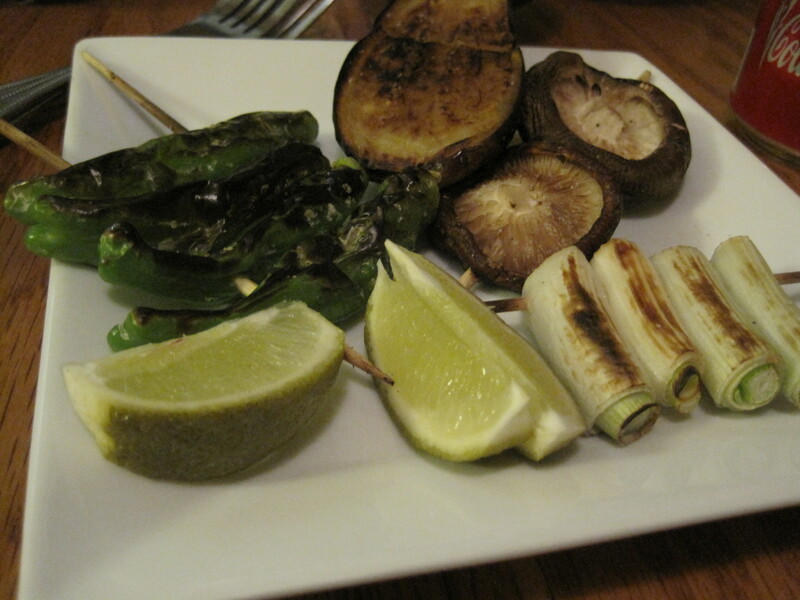 I’d really like a couple more grilled vegetables and a way to avoid starches on their “side plates.” That said, meat skewers and nicely grilled asparagus fit well within my dietary plan, and they’re good looking enough I ordered 2 skewers instead of 1 after looking at their setup. 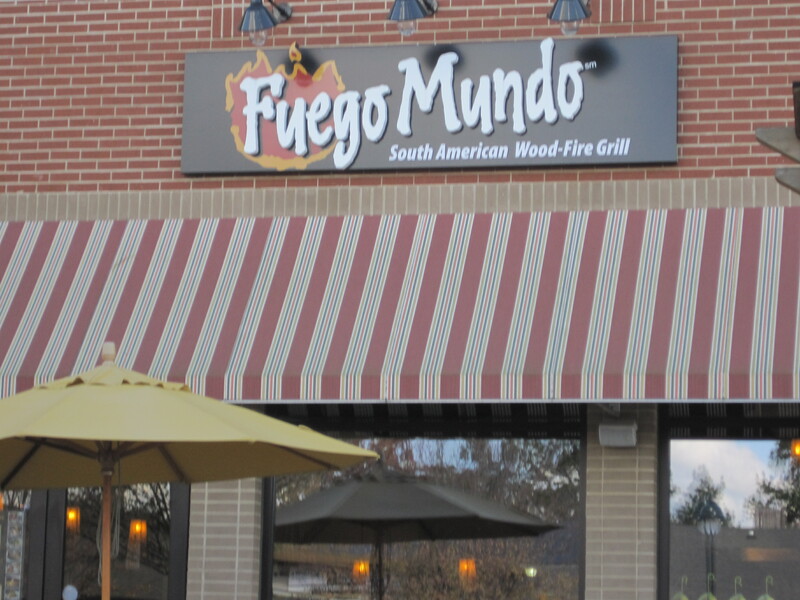 Fuego Mundo is neither expensive nor cheap. 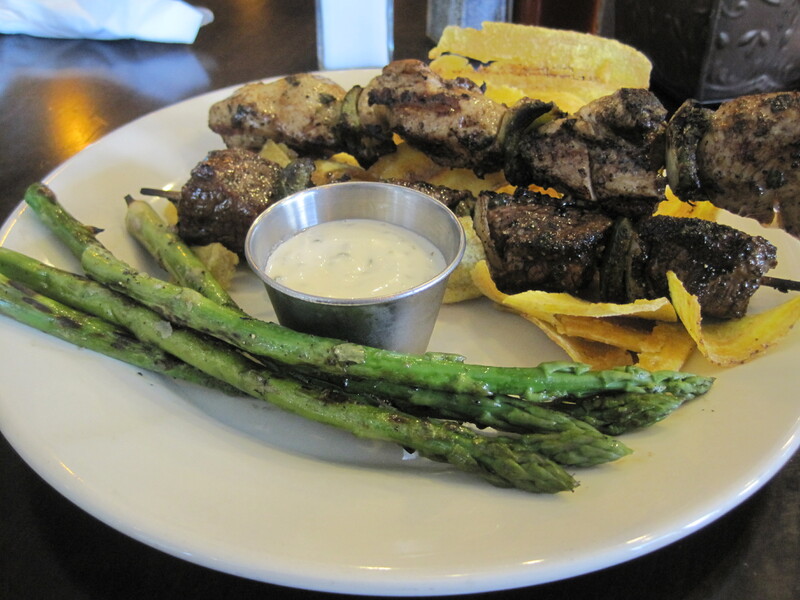 Tres Tapas is $10, $11 if you choose a steak skewer. A chicken skewer with side runs about $7.75. The most expensive single entrée ran around $16 (There are meals for 2 in the 25 dollar range). Flavors are rich. I liked my chicken skewer more than the steak, and I’m not really a big fan of chicken. I’m not sure if they marinated the chicken, or if I caught a bland first chunk of steak. The steak ended well, with a very tender and flavorful square of meat. Staff tend to keep their heads down and work. They’re good looking. They wear black outfits with a lot of red bandannas. 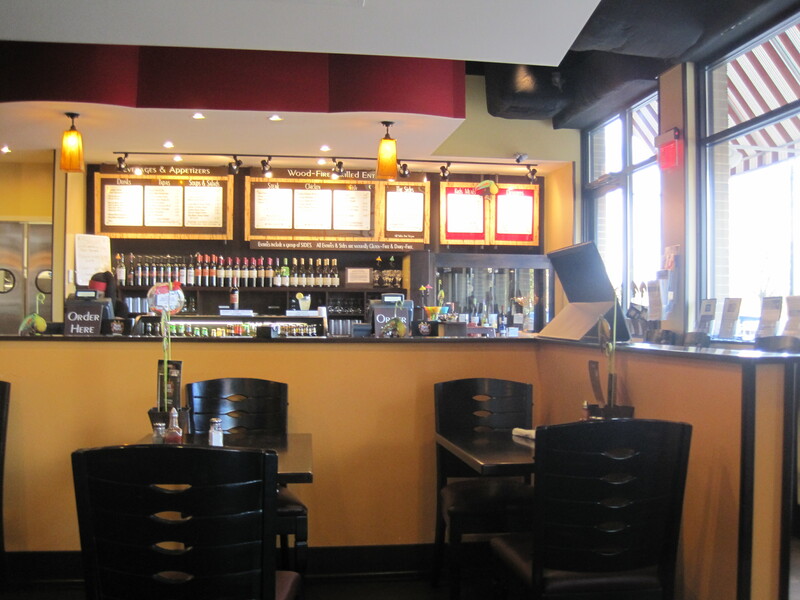 The restaurant has a modern look, with a lot of steel, glass and wood. Music is constant and festive. I have a large oak tree in my front yard, one that dominates the yard, my house, my driveway. Enormous branches extend everywhere, including over the house, over the driveway, and at times, over the power lines that go to my house (the power company trims those). It also creates enormous amounts of leaf waste, which for now I’ve been sweeping to the back, to pile up in something resembling a compost heap. I bought a wheelbarrow last year, because I was unable to keep up with the waste, and moving 3-4 years worth of leaf deposits all this summer – good therapy, by the way – made me realize I wanted to jump on this task in the upcoming year. Get it done in the fall and winter, so I could spend the summer growing plants and fighting weeds. Diabetes, and in fact almost all the various manifestations of metabolic syndrome – high blood pressure, high “cholesterol”, gout, obesity – respond well to the kind of labor that makes up yard work. Yard work is relatively low intensity, so it is not prone to wrecking joints or breaking bones. You’ll work up a sweat, and you’ll keep that sweat going for a while. Great for heart rates, great for triglycerides, though it has to be said that if you’re out to lose weight, yard work isn’t the thing to get it done. Portion control is at the heart of any sane diet. I managed it using a food journal. How anyone else does is up to them. I think a food journal combined with a diet of your choice puts you in a better position to succeed. So now I’ve touched on two Puritan virtues: eating frugally, and hard work. And not just hard white collar work, but hard physical work. If you’re a foodie, why do this? Why go through all this work so you can then avoid food? Let me point out: since February, I’ve been dealing with exactly this issue. 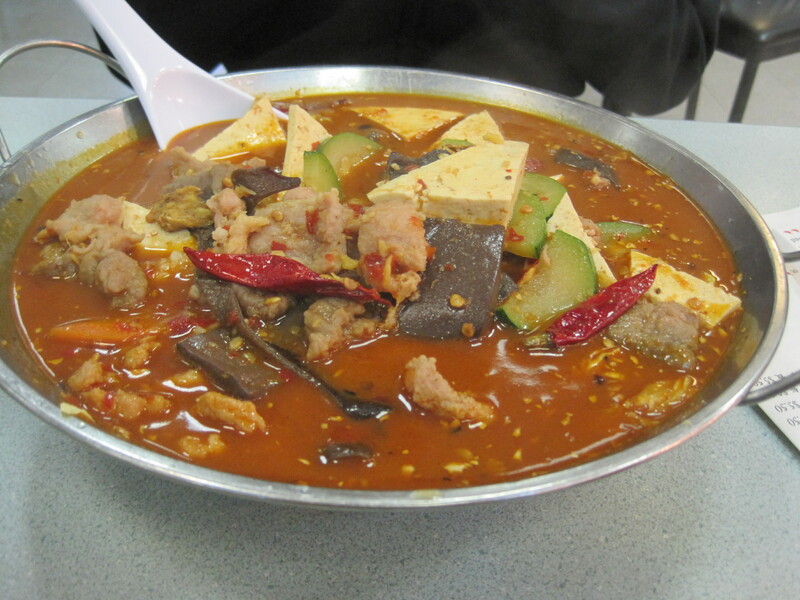 My blog I think is testament that you can still eat well and manage your body. You just have to pick and choose the meals you want to be indulgent with. There is absolutely nothing wrong with working hard and eating carefully for a couple weeks, so you can enjoy a very Pilgrim-esque Thanksgiving meal. 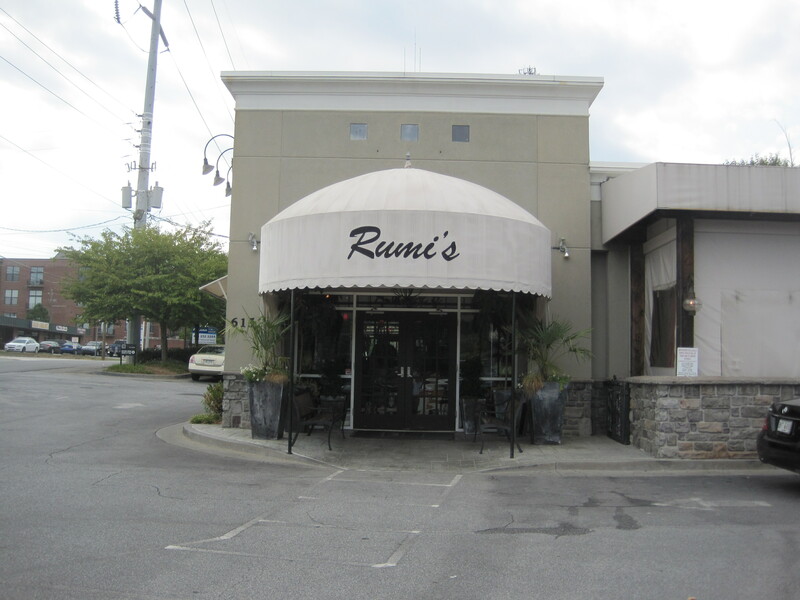 Rumi’s Kitchen is an eatery along Roswell Road, one that specializes in Mediterranean foods. It’s an attractive place to eat, if a little small. I went there some weeks ago, but it was the last good place I ate before I had surgery. It’s been a while getting back to this restaurant. 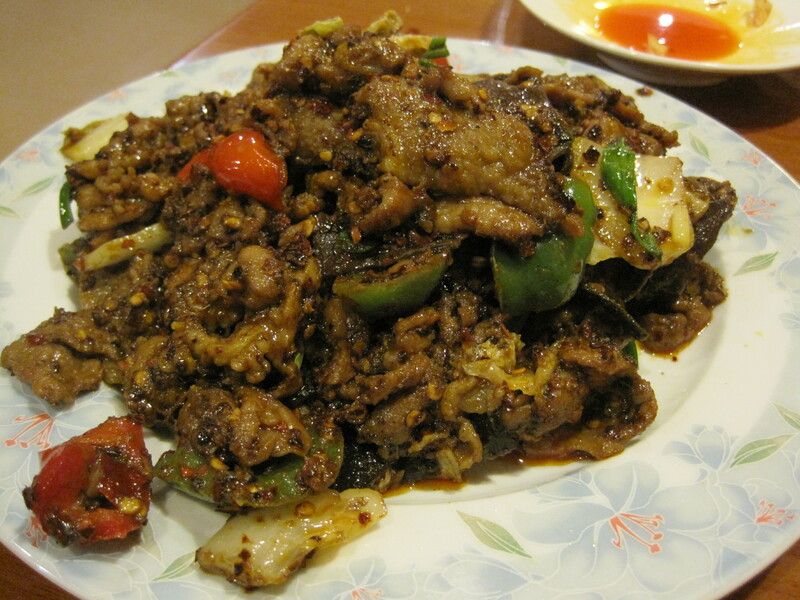 Good food, well spiced but not terribly spicy. I had a rack of lamb, some wings, a salad. 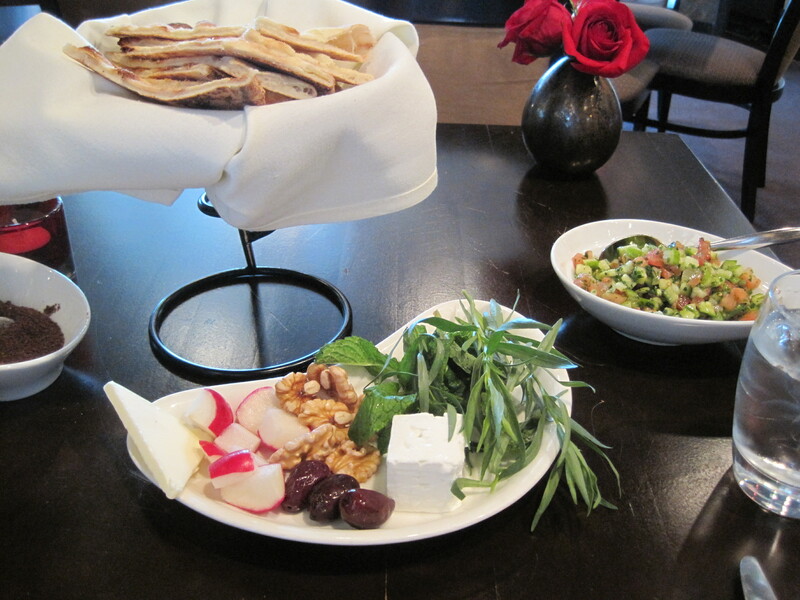 They offer a selection of nuts, olives, and breads along with the meal and they will refill. The lamb was tender, tasty, perfect. The salad was good but smaller than I expected (upper right of the photo immediately below). The area in which the chefs cook is partly open, and if you’re lucky, they will seat you so that you can see the action in the back. Good looking waiters offer excellent service. Seating is Western style. I’ve reviewed Yakitori Jinbei before, but it was a lunchtime review, and Yakitori Jinbei doesn’t do yakitori at night. This weekend I talked my family into the hour long trek into Smyrna and the quiet strip mall YJ is found in. I was curious if the mix of casual elegance would be lost at dinner time, if the ambience would change. The menu is different, to be sure. Driven more by donburi, a selection of various udons, a bit of yakisoba, and several possible choices of yakitori (a kind of Japanese shish-kebab), they also included a list of specials that day. Nabekayi udon was one of the specials that caught our eye. 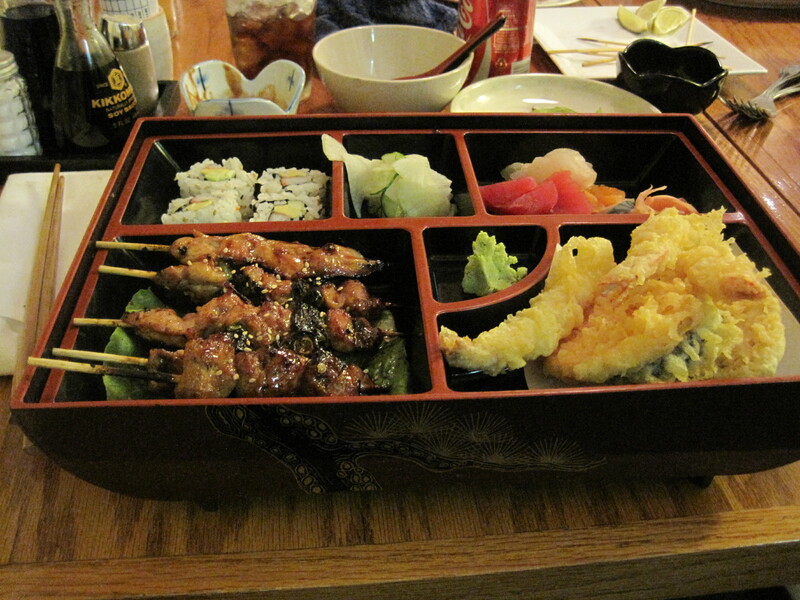 We also debated getting a mixed vegetable tempura. The one we did end up getting was a squid appetizer, that my daughter soon appropriated as her own. Food came out this day a little haphazardly. We had ordered a yakitori plate, the vegetable yakitori combo (shio style), some yakisoba for my wife, and my daughter ordered Yakitori Jinbei’s yakitori combination box. You can smell the smoke on Yakitori Jinbei’s chicken. 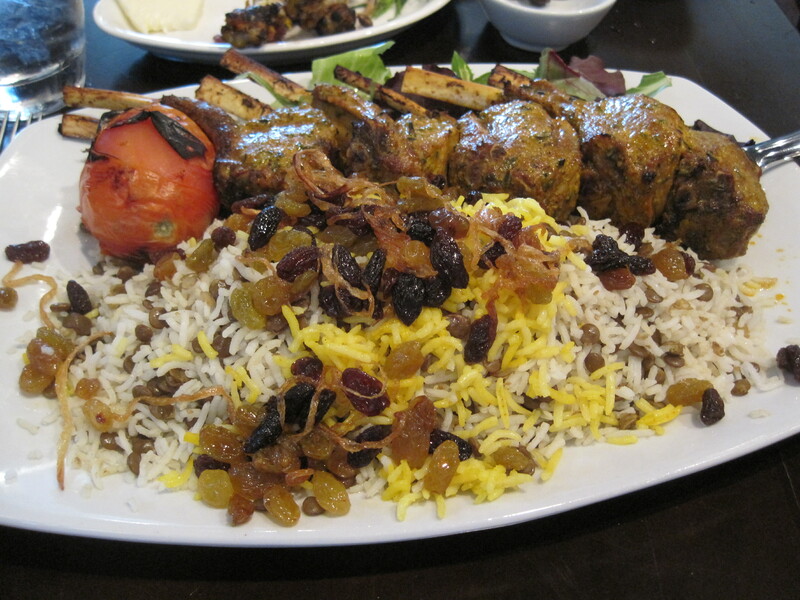 The meats are modest but flavorful. BBQ addicts who like their meats smoked are likely to enjoy the choices at this eatery. The peppers on some of the yakitori were wildly different in heat, either being totally without heat at all, or at the hottest, as spicy as a small yellow banana pepper. 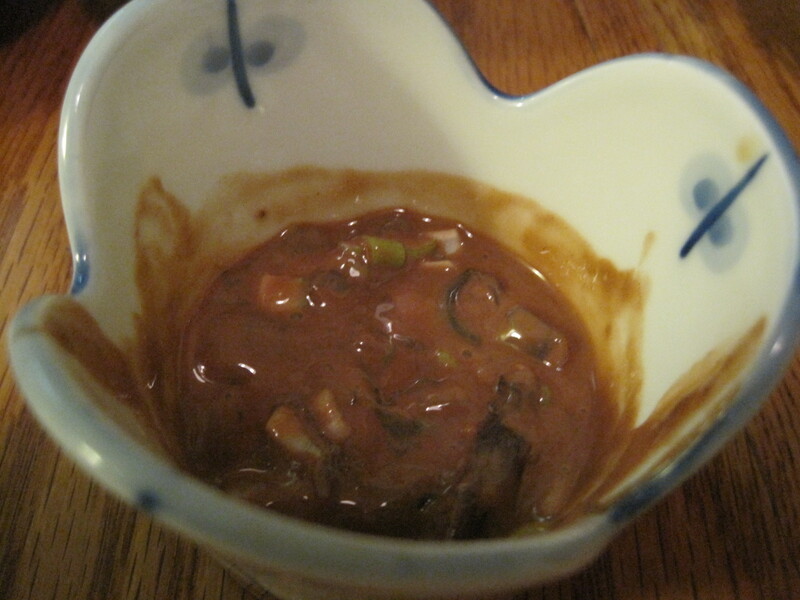 Perhaps the best of the yakitori was the eggplant, delicious and fall off the stick tender. 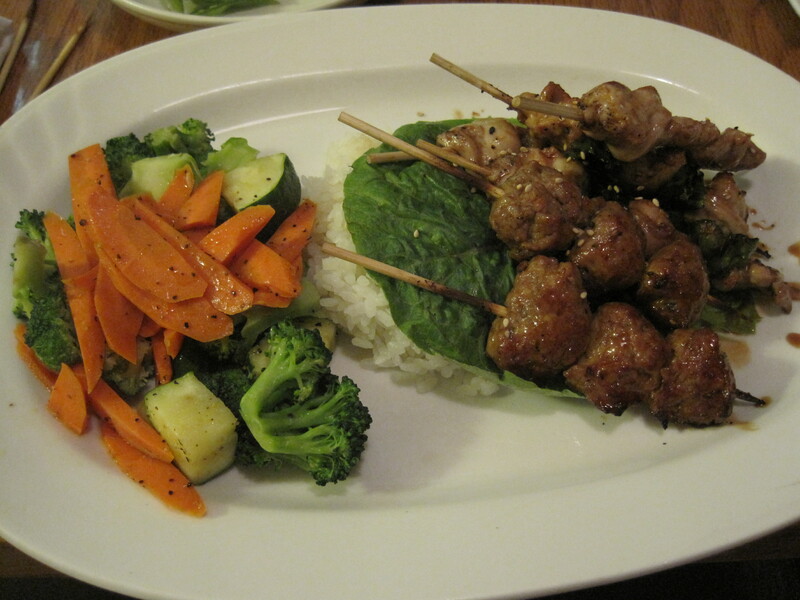 The green onion yakitori might have been better served in a style other than shio (salt). The mushrooms were wonderfully earthy in character. Tempura were dry and excellent. If you want tempura sauce with your food, you’ll need to ask for it. 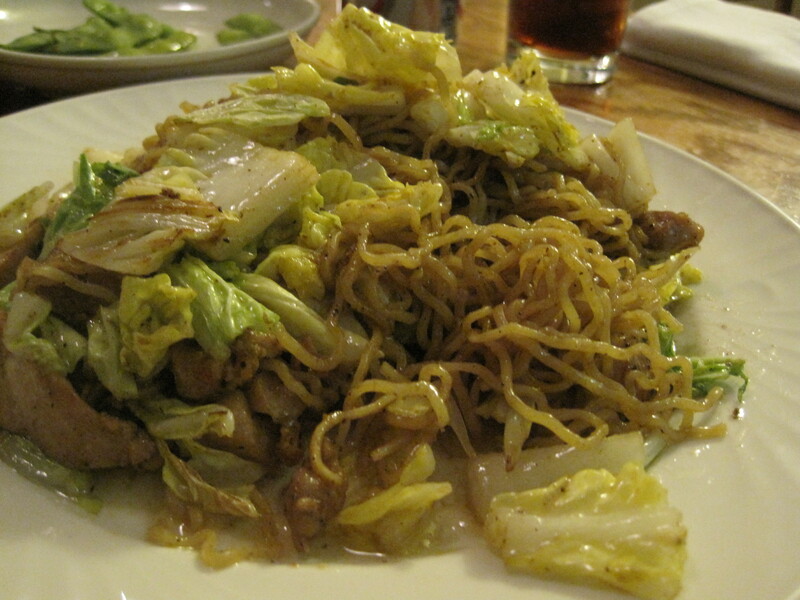 The yakisoba was quite good, but ran a little oily this day. My wife doesn’t like yakisoba noodles that taste too much like ramen, and she graded these the “good” kind. The thing about this restaurant is that it more resembles the way the Japanese actually eat than does, say, a sushi joint. Sushi is a food for special occasions in Japan. To grade a full service Japanese restaurant solely on its sushi makes as much sense as grading a full service American restaurant on its German chocolate cake and apple pie. Here, you have a fighting chance to get past the holiday food and touch on things more commonly eaten in Japan. And you can do it in a place that’s refreshingly casual, but with a sense of harmony and balance that good Japanese aesthetics emphasizes. I like Yakitori Jinbei a lot. I just wish it were on my end of town. 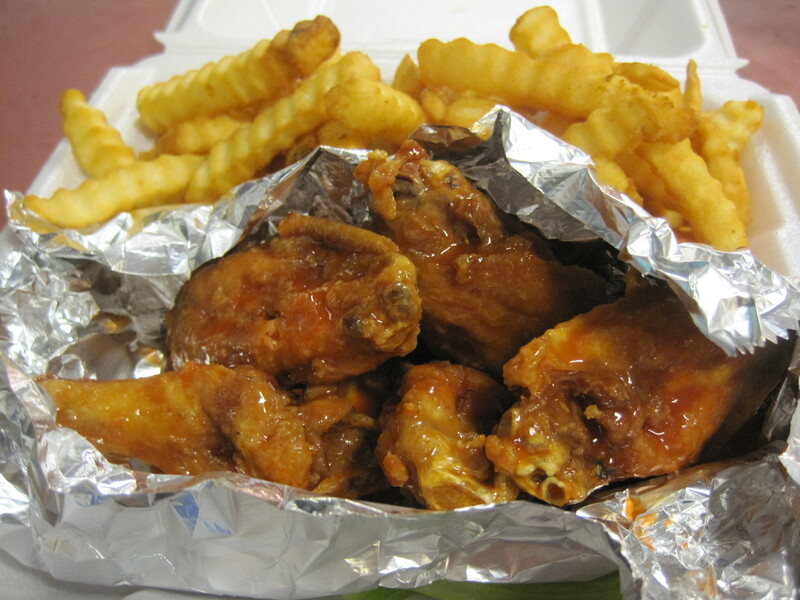 US 23 Wings and Grill is near the corner of Jimmy Carter and Buford Highway, on the north side of the intersection. It’s always been an attractive building, if you like classic diner decor. I’ve driven past it many times, wondering what it would be like to try, wondering what the food was like – was it any good? I don’t have to wonder any longer. 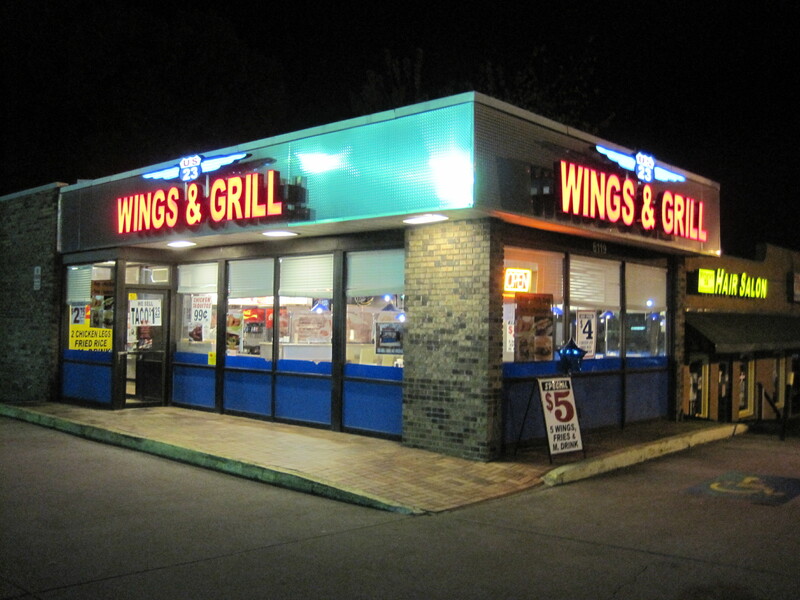 They do wings, chicken, burgers, tacos, and quesadillas. I suspect the tacos and quesadillas are a hat tip to the rainbow coalition of eaters that come through this small place. 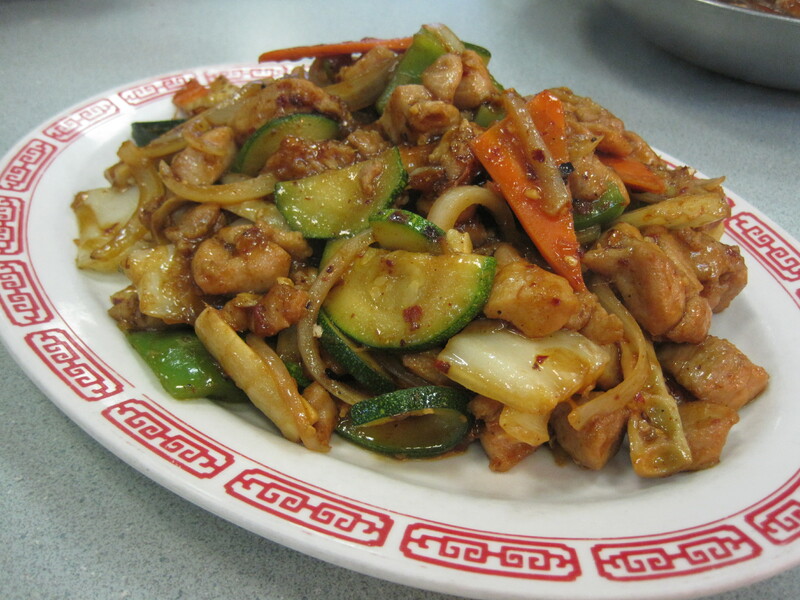 Food offerings in general are complete and cheap: $5 specials including drinks, $4 specials including drinks. There is a counter where you order, booths and chairs to sit in, and not really a lot of space. The wings I had were decent. Not great, not bad, but decent. The wings sauce was reasonably spicy, the wings were cooked to order and the fries big, thick, meaty. 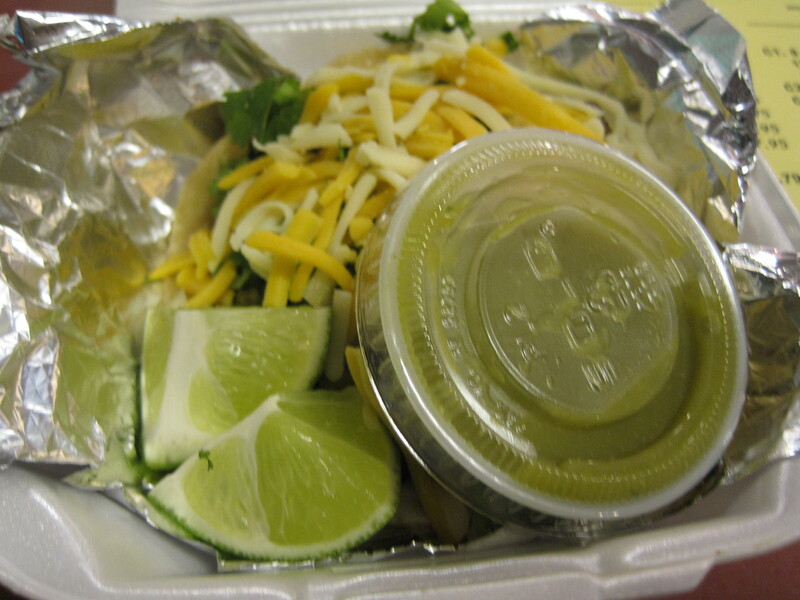 The taco they provided was close in character to those you can get at a mom and pop taqueria: two smaller flour tortillas, bits of flavorful beef, plenty of lettuce and cheese, two bits of lime with the taco and a decent asada sauce on the side, for a dollar and a quarter. It’s a better taco than 90% of the chain tacos, and probably the better food buy here. This isn’t a place for foodies, really, except those specialists who like the diner ethic and the sights and sounds of people on the edge. If you need to plumb your inner Sal Paradise, exume your personal Tod Stiles, this is a place to do so. 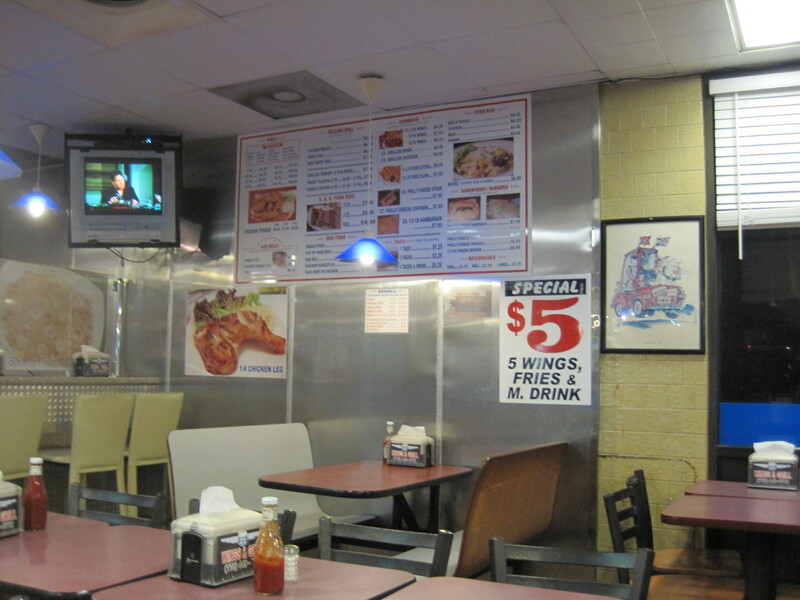 As a place to get a bite to eat, with only the dollars and change in your pocket, I’d call this place a success. Verdict: Diner styled eatery, aimed at the cash poor. Recommended.